David Pocock is one of the finest players in the game, but he’s also one of the nicest. The Wallaby international is an absolute monster of a man, but at the same time he has a heart of gold. And he proved this once again yesterday when All Black Ryan Crotty found himself in a spot of bother after a clash of heads with one of his New Zealand teammates. 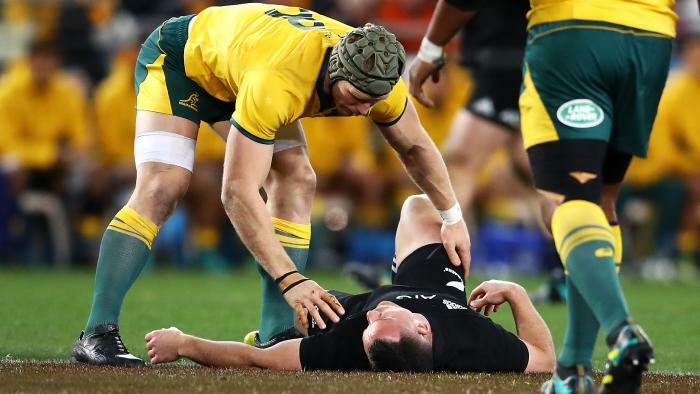 Crotty has a history of concussion and looked to be in a bad way just 12 minutes into the Bledisloe Cup clash between Australia and New Zealand in Sydney yesterday morning. Pocock stopped what he was doing and did not leave Crotty’s side until he got the attention he needed, with the centre being forced off, taking no further part in the game. Top class from the back-row.